Ribbons can be frozen inside the window to remain on the same place even when clicking other ribbons. Ribbon gets frozen via the tab's context menu. •To move up/down and reorder frozen ribbons. 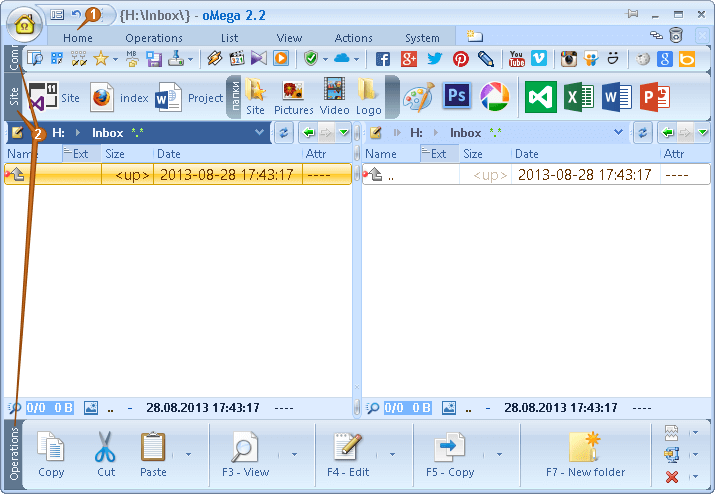 •To open context menu, allowing unpinning.